Hello - just joined & wanted to say hi. 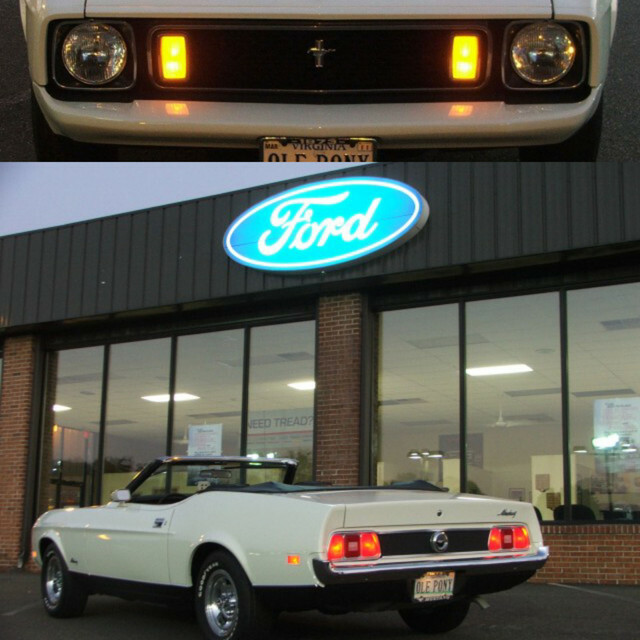 I have a '73 Mach1 I bought in 1988. It was a daily driver, then a weekend cruiser, then it went into storage for years, and now I'm rebuilding it as a customized/modified street car. I've rebuilt the 351C and installed a 5-speed manual with overdrive. Welcome to the site from Virginia. Post up some pictures when you get a chance. You can post your general location on the map under Fun Stuff at the top of the page. We have a few other members from Maryland too. Welcome to the site! Can't wait to see some pics! I gotta figure out how to post pics . . . luckily, I have a server where I work, so I can just load them here and post a link. What 5 speed did you go with? dohebert;24303 Wrote: I gotta figure out how to post pics . . . luckily, I have a server where I work, so I can just load them here and post a link. its much easier than that just resize your images to 1024 width or hieght. Then when you are writing your post just go to the bottom for attachments click browse the select you picture either by double click or one click then "open". then just press add attachment and there you go your pic is in your post. You can put as many as you want. Or until your attachment capacity is full. Welcome to the club! Glad you're here!